If you believe that you may have been improperly denied Massachusetts workers' compensation benefits, or you are not receiving the full benefits to which you may be entitled, you can use an Employee Claim Form 110 to kick off a formal process to resolve disputed claims at the Department of Industrial Accidents (DIA). The DIA administers the workers' compensation system. Your employer's insurance carrier can also launch this process by filing a complaint to modify or discontinue compensation. In workers' compensation claims, there are five stages of dispute resolution, one stage of which results in temporary orders. The Boston workers’ compensation lawyers at Pulgini & Norton can guide injured individuals through this complex process. The opening step of resolving a workers' compensation dispute is conciliation. This step takes place because either you or your employer's workers' compensation insurance carrier triggered the dispute resolution process. No orders, temporary or permanent, are issued at conciliation. It is simply an informal meeting between you and your employer's workers' compensation insurance carrier. There is no binding resolution at this step unless you expressly agree to it. Even though no orders are issued at this stage, having an attorney with you at this step of the process can be helpful. An attorney may be able to assess whether the insurance carrier's settlement discussions are in good faith, or whether you need to push for more benefits. The next step is a conference, and it is at this step that a judge may issue a temporary order. Like the conciliation, a conference involves informal discussions. However, a local administrative judge presides over the conference. At the end of it, if you and the carrier are not able to settle your dispute, the judge issues a temporary order, known as a conference order, regarding whether the carrier must pay you compensation and how much. You have 14 days of the filing date within which to appeal the temporary order. Although the order is temporary, this is your first chance to present your case to the judge, showing your situation in the best possible light. You and your attorney, as well as the insurance carrier and its attorney, are given an opportunity to present your differing positions to the judge. Documents such as medical records, proof of income, and witness affidavits are submitted to the judge. When possible, the same administrative judge is involved in your case through later proceedings. Accordingly, what happens at the conference can influence the trajectory and ultimate resolution of your case, even though the order may be temporary. You or the insurance carrier can appeal a temporary order, and the matter will proceed to the hearing stage. At this stage, the judge makes a decision. All of the evidence will be formally presented, as it would be in a trial, and evaluated. Witnesses will be sworn in and testify. 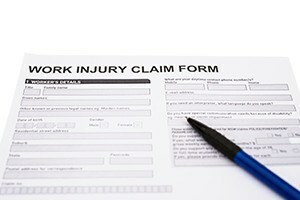 If you are claiming workers' compensation benefits, you should consult an experienced workplace accident attorney. Although only a temporary order is issued at the conference stage, it is wise to have legal advice and skillful representation from a legal professional who understands the benefits to which you may be entitled and who can present your case in the best possible light to the judge. At Pulgini & Norton, our Boston workers’ compensation attorneys also represent injured individuals in Medford, Malden, Braintree, and other cities in Massachusetts. Call us at 781-843-2200 or contact us via our online form for a free consultation.